What’s up with mad cow? You have to feel sorry for the beef industry. First pink slime, now a mad cow. 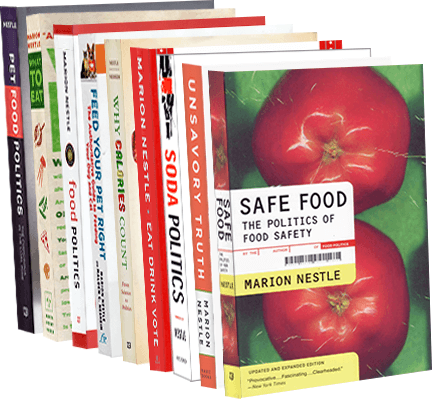 Here’s what we know about the latest mad cow scare (the USDA has a page devoted to mad cow disease, so does the FDA, and I wrote about it in my book, Safe Food: The Politics of Food Safety). Mad cow is the common name for bovine spongiform encephalopathy (BSE), a fatal disease caused by abnormal proteins (prions) in the brain and nervous system. The disease affected 37,311 cows in Great Britain in 1992. In 2011, there were only 29 cases worldwide. No human case has been seen in the U.S., except for one in a woman who moved here from England at the time. The affected cow found in California is only the fourth in the U.S. since the testing program started a decade ago. The USDA tests about 40,000 cows a year out of the 34 million slaughtered. This one was evidently high risk. It died and was sent to a rendering plant. It either looked suspicious enough to be singled out for testing or was picked up on routine testing. When the test came back positive, authorities impounded the carcass. It never entered the food supply for either people or pets. How it got the disease in the first place is either unknown or undisclosed. The most likely possibility is that the disease developed spontaneously (as it does occasionally in older cows). The disease was detected on a cow carcass taken in for rendering last Wednesday at an animal-rendering plant in Hanford, Calif., said Dennis Luckey, vice president of Baker Commodities Inc., a Los Angeles-based processor of animal byproducts that operates the facility. Mr. Luckey said the cow had died at a dairy he couldn’t immediately identify, saying that information was in the hands of the USDA. The plant renders cows that have died to make commodities such as “high-protein ingredients for poultry feed and pet food,” according to Baker’s website. During the British mad cow scare of the 1990s, people eating beef and cats eating cow byproducts got the disease, but dogs did not. The USDA is issuing assurances that the system is working since mad cow prions from this cow did not get into the food supply for people or pets. My assessment: The risk of you getting this disease from eating beef is extremely small. You don’t find this reassuring? Eat your veggies! Sometimes I think we live in an alternate reality. The U.S. Court of Appeals (District of Columbia Circuit) has now overturned a lower court ruling that allowed Creekstone Farms Premium Beef to conduct its own tests for mad cow disease (bovine spongiform encephalopathy or BSE). Imagine! Creekstone wanted to demonstrate that its beef was free of BSE so it could be sold in Asia. But that would imply that other meat was not safe and force other companies to test as well. Apparently, the USDA does not think that would be fair and the Appeals Court agrees. What about fairness to beef eaters? About that, the court had nothing to say.